CONEY ISLAND – To fill the gap as to where candidates stand on issues in the district, Bklyner brings you a series of region-specific Q&As from each candidate running in the 46th assembly district which includes Coney Island, Sea Gate and parts of Bay Ridge, Brighton Beach, Dyker Heights and Gravesend. 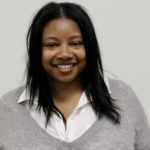 This series hopes to bring awareness to problems in the district and help better inform constituents of the policies and practices of those seeking their votes. Click here for parts 1 and 2. Q: Everyone is aware of the issues involving public housing. Between Coney Island and Gravesend, the New York City Housing Authority houses more than 3,500 apartments. What can you do as a state lawmaker to help in the recovery process of the crumbling NYCHA system? Mathylde Frontus (D):NYCHA’s problems are plenty and multi-faceted. The infrastructure is crumbling; over 1,000 children have been tested positive for lead, and untold families are drinking contaminated water from water tanks that have not been changed in years. A Manhattan federal judge recently referred to it as an agency in crisis which has put the health and well-being of its 400,000 residents in jeopardy. The housing authority receives $2 billion of its $3.2 billion budget from the United States Department of Housing and Urban Development (HUD) and receives most of its remaining funding from the City of New York. While the State has a more limited role than the federal government and even the New York City Council, in recent years state lawmakers have expressed wanting to have an increased role in NYCHA oversight. I agree that the state legislature can and should do more to help the embattled agency. As an Assembly Member with limited authority, I will still be able to focus on advocacy, state law, and funding. In terms of advocacy, members of the New York State Assembly have a platform to raise awareness about issues and also push for changes on the federal and city level. With 9 NYCHA developments in my district, the first thing I would do is work with residents to create tenant-led advisory boards which would work with my office to keep the lines of communication open about the repair issues facing each development. I would like to empower the advisory board and support them in calling for policy change from the federal level down. A good example is Ben Carson recently calling for a rent increase from NYCHA residents. As an Assembly Member, I would vehemently oppose this rent hike and would encourage residents on the advisory board to organize their neighbors and also make their voices heard. More important is the fact that after years of being victimized by NYCHA’s mismanagement and policies, residents need additional protection under state housing and eviction laws. For example, certain residents continue to live under particularly egregious conditions such as black mold, contaminated water, crumbling ceilings, and peeling walls and lead paint, yet NYCHA expects them to pay rent on time. Other tenants have reported that NYCHA has tried to evict them for speaking up about their long-standing repair issues. I would introduce legislation aimed at protecting the tenants and preventing them from being evicted due to nonpayment related to hazardous conditions and/or speaking up about said conditions. I would also support the clarion call of many residents by proposing that NYCHA’s failing infrastructure be classified as a human rights violation under state law. Finally, while the budget for NYCHA is comprised mostly of federal and city dollars, there is still a gap as evidenced by Governor Cuomo allotting $500 million recently to build senior housing on NYCHA properties. Members of the New York State legislature can work together to allocate portions of the New York State budget of $200 billion towards NYCHA, particular to help with its infrastructure problems. Providing this budgetary support will allow for more repairs to get done and more tenants to get the much-needed help they need. Q. Store owners along Mermaid Avenue in Coney Island have been removing their signs from storefronts because they haven’t heard where candidates stand on the Coney Island B.I.D. Do you support the B.I.D.? Why or why not? Mathylde Frontus (D): In general, I don’t have a problem with Business Improvement Districts. Since their inception about 50 years ago, numerous groups have examined their pros of cons. The advantages which are normally cited include maintenance such as sidewalk cleaning, capital improvements and community/ social services. The most frequently cited disadvantage is the assessment which must be collected by property owners within the boundaries of the BID. The assessment which is levied on the property-owners is often passed on their tenants, which leads to small business owners often pushing back against this new tax. In my opinion, the most important question which should be asked with regards to a BID is “does the community in question want one?” Specifically, are the property owners and other stakeholders willing to pay the extra tax in exchange for the proposed services? This should go without saying but if a community does not want a BID they should not be forced to adopt one. There are several bids across the country where the property owners and/or tenants are happy to pay in exchange for the services they receive. However, in other communities, they simply don’t want it. In the case of the proposed Coney Island BID, the main issue at hand is that some 60 business owners or more have signed a petition stating that they do support the creation of the BID because they would have to pay a new tax which they have not asked for. Many of them fear that it may drive them out of business. I believe that the voices of these business owners should be respected. 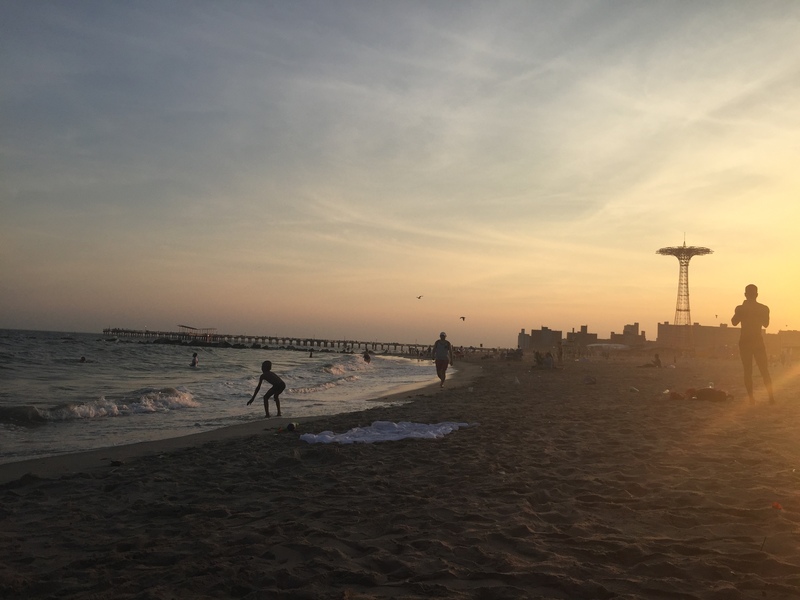 While I understand that the Alliance for Coney Island is in the process of soliciting input from the community and that no final decisions have been made, I strongly urge them to meet with these particular business owners and to listen to their concerns. As a long-time resident of the community with my ear to the ground, I have encountered far more business owners who are against the B.I.D., than those who are for it. For that reason alone, I cannot throw my support behind an idea which seems to lack buy-in from those who would ultimately be unwilling participants. Last I spoke with the Alliance, they reiterated that they have no intention of moving forward with the B.I.D. until the community arrives at a decision. Given this, I would say that the right thing to do is to settle it once and for all by asking every single property owner and business owner/tenant within the proposed BID boundary to cast a vote on whether they want it or not. Q: How many NYCHA buildings are in your district? Q: Where can residents find the best burger in the district? Mathylde Frontus (D): I’m a vegetarian and enjoy the veggie burger from the Coney Island Applebee’s. Q: Everyone is aware of the issues involving public housing. Between Coney Island and Gravesend, the New York City Housing Authority houses more than 3500 apartments. What can you do as a state lawmaker to help in the recovery process of the crumbling NYCHA system? Ethan Lustig-Elgrably (D): The nine NYCHA developments in the 46th District are between 43 and 63 years old, and years of disinvestment and deferred maintenance, in addition to the destruction of Hurricane Sandy, have taken their toll. Our residents of public housing are resilient and strong advocates, but, for far too long, their voices have been met by indifference from NYCHA management, leading to the many scandals and outrages which have emerged this year. In my time working with Council Member Mark Treyger, I was proud to play a role in amplifying the voices and concerns of NYCHA residents. As Legislative Director, in 2014, I organized the first City Council hearing to be held in a NYCHA development–in Carey Gardens–and ensured that residents had the opportunity to testify before NYCHA management. This hearing highlighted the hardships experienced by residents following Hurricane Sandy, and catalyzed the allocation of billions of federal dollars for recovery repairs. To ensure that NYCHA residents had a seat at the table as the recovery process began, we organized quarterly breakfasts with tenant association leaders and NYCHA management. I am committed to continuing to foster strong relationships between NYCHA residents and the elected officials who represent them, holding NYCHA management accountable, and keeping NYCHA families safe and healthy. I am proud to have been endorsed by many NYCHA Tenant Association Presidents and to have built trust with both tenant leaders and residents through direct service. During the course of my campaign, I have held meetings with tenant leaders and NYCHA residents to hear about ongoing issues and what they want to see from their elected leaders. I have pledged to create a council of tenant leaders and residents that will be a partnership between NYCHA residents and elected officials to hold NYCHA accountable for maintenance and ensure that repairs are done on time. I will fight for state funding for NYCHA’s capital needs to tackle infrastructure repairs, and demand greater transparency on repair schedules, how money is spent, and compliance with federal regulations like Section 3. Yes, NYCHA faces significant challenges and has suffered from years of dysfunctional and indifferent management. However, the developments of this year have shown that a united front of NYCHA residents and elected officials can force change and reinvestment. If elected, I am committed to being a tenacious advocate for public housing in Albany. Q: Store owners along Mermaid Avenue in Coney Island have been removing their signs from storefronts because they haven’t heard where candidates stand on the Coney Island B.I.D. Do you support the B.I.D.? Why or why not? Ethan Lustig-Elgrably (D): B.I.D.s have worked well in other parts of the 46th District, including the 86th Street and 5th Avenue B.I.D.s in Bay Ridge and the Brighton Beach B.I.D., where small businesses have united to implement services and host events that enhance vitality along the commercial corridors within their boundaries. However, what works for small businesses in Bay Ridge and Brighton is not axiomatically what will work for Coney Island. First and foremost, it is critical that we listen to the input of business owners and residents in Coney Island when determining if a B.I.D will work here. I have spoken with numerous business owners on Mermaid Avenue who are worried about the potential negative impact of a B.I.D. At this point, the final plan has not been released so it is too early to assess the ultimate impact that a B.I.D. will have on small businesses on Mermaid Avenue. With so much of the neighborhood in flux due to new development (much following the 2009 rezoning) and infrastructure construction, this is a challenging time for Coney Island to be having this conversation. Small businesses are hurting, as parking and sidewalk space is taken up by construction staging areas, and changing street closures limit access. We need to ensure that a B.I.D. will be equally beneficial to and representative of all local businesses that fall under its jurisdiction; many longstanding small businesses on Mermaid Avenue have justifiable historical concerns that their voices and needs will not be prioritized in the same way as larger businesses, and an outcome that results in a continuing “tale of two Coney Islands” is unacceptable. Given that it is still early in the B.I.D. process, the boundaries are still flexible and arbitrary, and there is room for adjustment and negotiation. If Mermaid Avenue storeowners oppose being looped in, then their voices should be heard and boundaries should be adjusted. If businesses along Surf and the Boardwalk want to form a B.I.D., then their voice should be heard as well. In this B.I.D. process, we must let every stakeholder’s voice be heard and respected. I am committed to supporting local businesses and ensuring that the many, longstanding businesses on Mermaid Avenue have the resources they need to succeed. As Chief of Staff to Council Member Mark Treyger, I worked to allocate hundreds of thousands of dollars in funding for supplemental sanitation services, and other business promotion services similar to those a B.I.D. might provide. I secured funding and Public Design Commission approval for historic lighting and benches along Mermaid Avenue. In Albany, I will continue to fight for resources and legislation to support our businesses, including expanding the NY Main Street program, which provides grants for commercial corridor revitalization. Steve Saperstein (R): When I speak to residents in person or over the phone it is clear they are fed up with their living conditions. I’m a public school teacher and several months ago, my student and his family were featured in the Daily News because their apartment was so infested with vermin and roaches, they had to evacuate. This was after NYCHA claimed it fixed their issues. Learning about these struggles firsthand in the classroom was deeply personal to me. I knew that his experience was just one of the thousands of similar instances. I’m glad they were able to relocate but so many others are still suffering from terrible living conditions. As the next Assemblyman, I’d like to make the developments in Coney Island the gold standard for NYCHA. It doesn’t make sense that our local politicians are always in an “us vs. them” -Republican vs. Democratic mindset. Fixing NYCHA must be a bi-partisan issue. The bottom line is that we need Washington on our side to work together and close the $32 Billion deficit. Aside from advocating for funding and communicating with the Federal Government (not fighting and grandstanding), I will focus on oversight and the monitor of distributed funds. As a state lawmaker, I will work very closely with state regulators to investigate corruption and mismanagement. One of the major issues that you have in public housing is the delivery of services and I will work on a purely grassroots level to make sure things were functioning properly. My office will have a dedicated staff member focused on resident advocacy. Also, I just read this morning that the number of kids poisoned by lead climbed to 1,160 kids. What a disgusting coverup by our Mayor and administration. Steve Saperstein (R): Taking a proactive stance, I’ve already set a meeting with these store owners for next week to discuss the Coney Island B.I.D. and hear their concerns. My initial feelings are that the Coney Island B.I.D. seems like a money grab. However, I will give my official stance once I weigh the pros and cons after speaking to them.